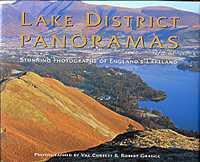 Special Value.This book brings to life the enchanting region of the Lake District, showing our lakes, mountains and gentle pastures to life in stunning panoramic photographs. Wide-angle views display the classic scenery to its best effect throughout the seasons. Illustrations : Colour photographs. Maps.